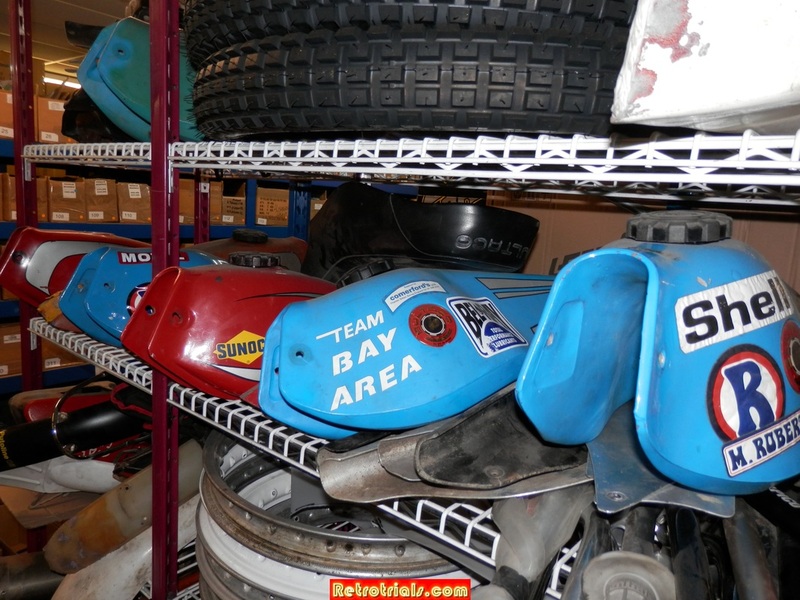 Here is another angle of the same storage rack showing the original tanks. As time went on I removed the original tanks to keep and protect the stickers in the same condition. I didn't want them ruined and so I placed another tank on the bike to ride it. The other side of the same tank. There is another beautiful tank here, which actually belonged to this bike here. 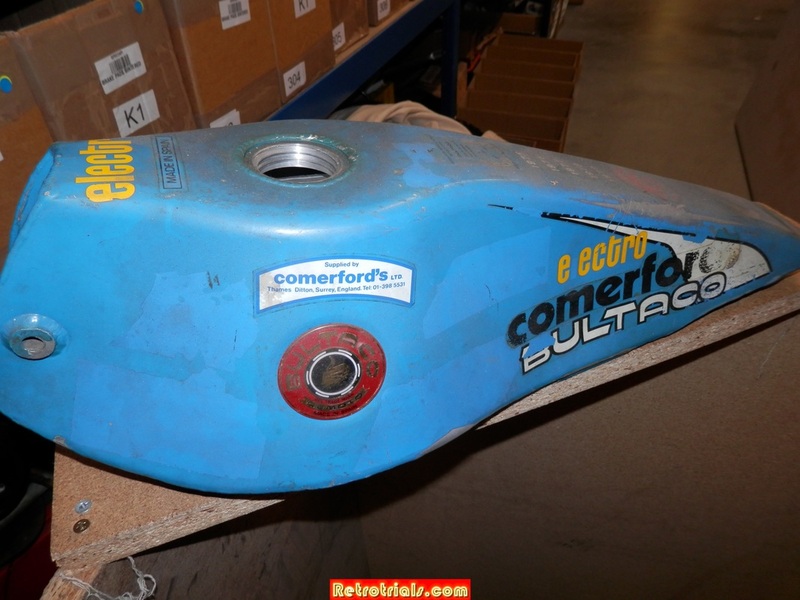 This is the tank that actually came with Steve Saunders Bultaco. 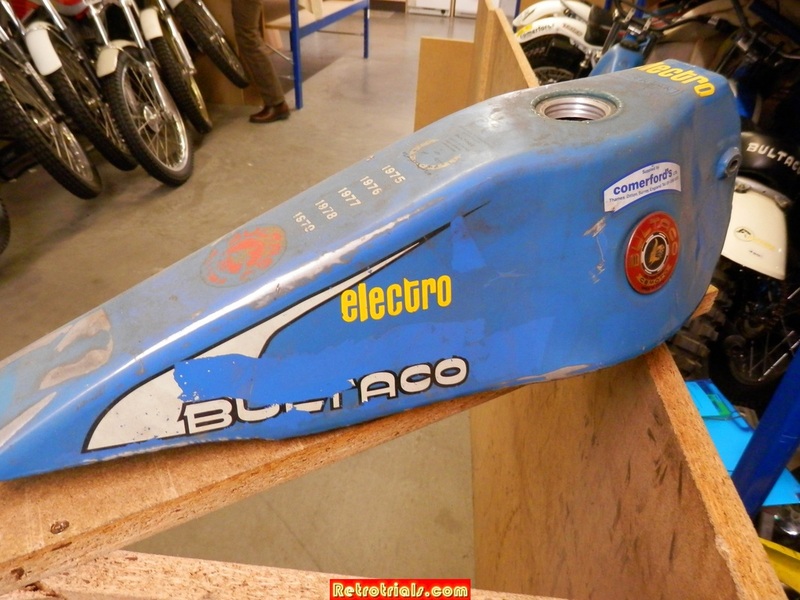 This is the tank with electro on it. I think its electro wear, a helmet manufacturer back then. Instead of restoring this tank, I left the tank as it is and I have bought another tank for the bike, so now I have both tanks. Now I have one which makes it presentable. 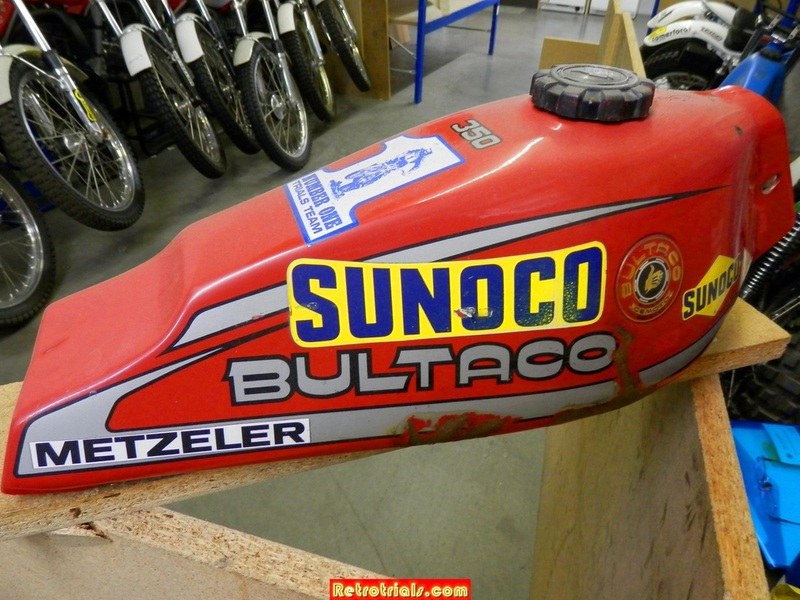 If I put this old tank on this bike now, it would look a bit odd. 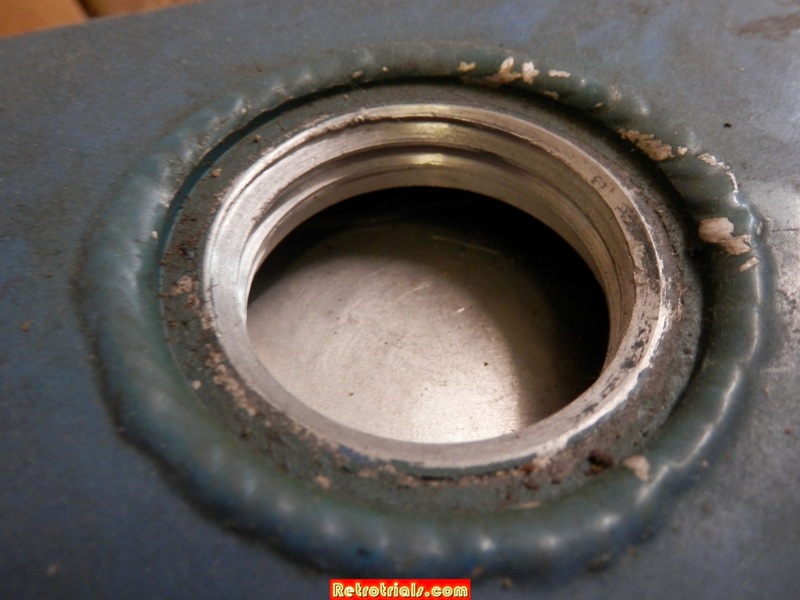 This photo shows the nice welding around Electro petrol tank opening. 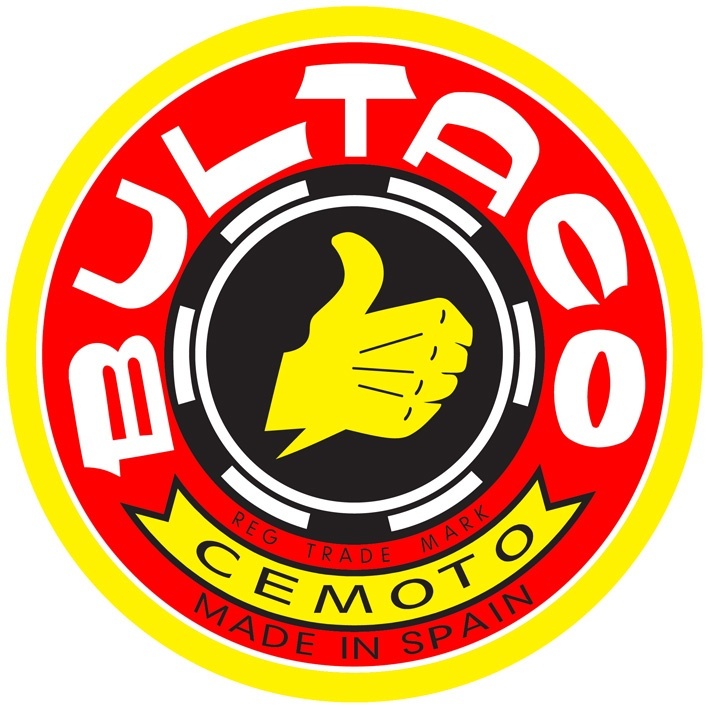 This is the Steve Saunders Bultaco that he very nearly beat me on in one of his first British championship rounds at the Colmore Cup. He was too young to ride a bigger bike and he didn't have a licence for a bigger bike. 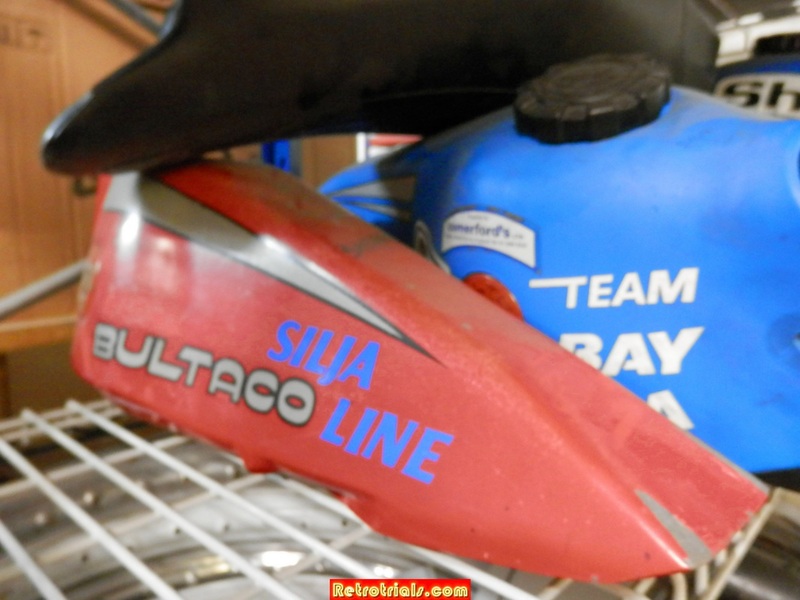 This red Bultaco tank beneath is not significant . 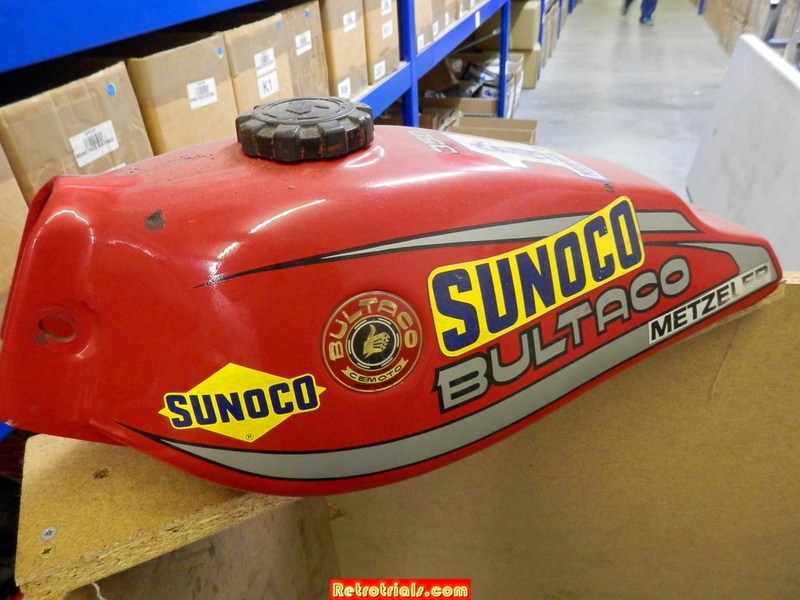 I obtained a bike for spares and this tank was on the bike. The Silja decals are not original.